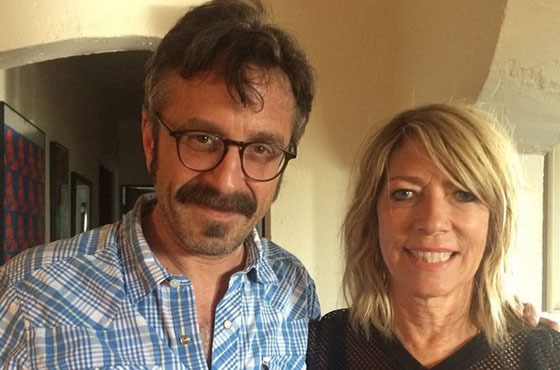 Sonic Youth's Kim Gordon recently opened up about her life and career in the new memoir Girl in a Band, and she appeared as a guest on Marc Maron's WTF podcast to support the new book. The host and musician start off by making some small talk about J. Mascis before Gordon reveals that she's been filming a video with Peaches. After the opening niceties, though, they get a bit deeper, delving into the visual art, musical and personal worlds that Gordon writes about in the book. Gordon's segment kicks in at the 11-minute mark, and you can give it a listen in the player below.